On Tuesday September 15 the Grand Final of the Premier B competition for the Fred McComish Cup was held at Parliament hosted by Paul Foster-Bell MP. 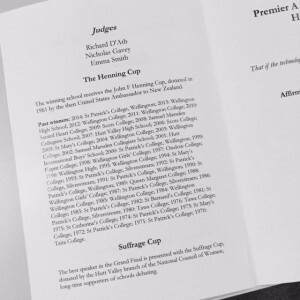 Wellington College (Ben Stockton, Hansaka Ranaweera, Timothy Rutherford, Jack Roberts (Reserve) affirmed the motion and St Patrick’s College, Wellington negated (Augustine Lee, Tom Hall, Jack Turnbull). After a great debate, Wellington College were declared the victors. Thanks to adjudicators Emma Smith, Scott Fletcher, and James Gavey for adjudicating, and also Oscar Battell-Wallace for convening the grade this year. The Senior Certificate grade final for the Rennie Cup was held at Parliament on Thursday 10 September. Hutt International Boys’ School affirmed the motion and Wellington East Girls’ negated. The debate was a good one. HIBS were declared the victors in a unanimous decision, winning the Rennie Cup for the first time. 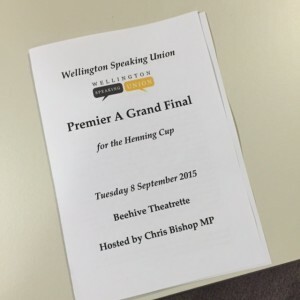 The Junior Premier Grand Final was held at Parliament last night hosted by Chris Bishop MP, and President of the Wellington Speaking Union. St Catherine’s College (Sophia Zandi, Kaira Scheck and Catharina Lee) affirmed the motion. 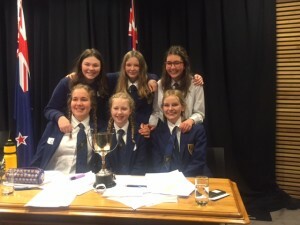 Wellington East Girls’ College (Ivana Emer, Isla Turner-Holmes and Isabel Holbrow) negated. After a great and close debate, Wellington East were declared the winners in a 2-1 split decision. Congratulations to them and their coaches Maureen MacIver and Amy Campbell. Wellington East win the WGT Wiggs Cup – the school’s first victory of this prestigious trophy. Thanks to judges Chris Bishop, Emma Smith and Tamara Jenkin for adjudicating. 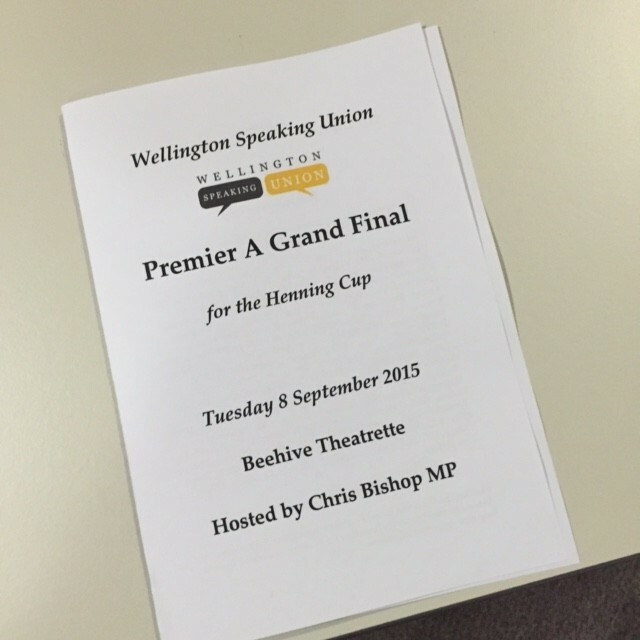 The Premier A Grand Final for the Henning Cup was held last night at Parliament hosted by Chris Bishop MP. 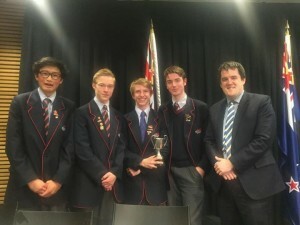 The winner of the Suffrage Cup for Best Speaker in the Grand Final was Shakked Noy from Wellington High. Thanks to Julia Wells who has done a great job convening the grade this year and to the judges for last night, WSU alumni Richard D’Ath, Emma Smith and Nicholas Gavey. 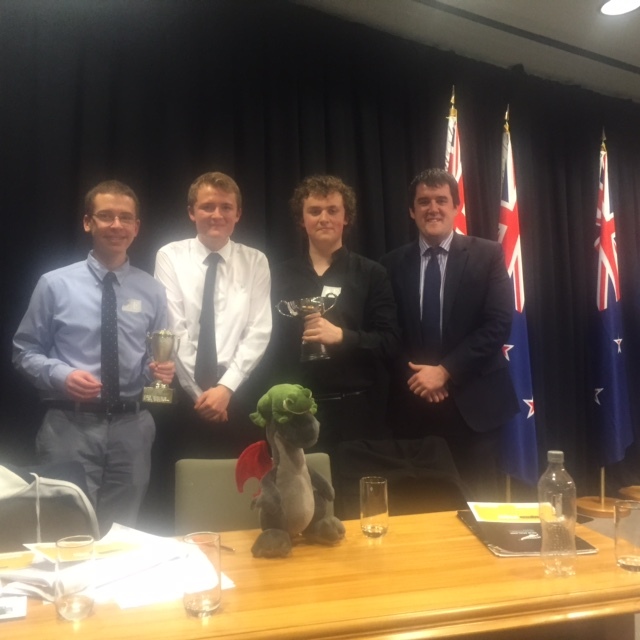 The WSU Service Award is open to any senior students who judge debates in the Wellington Intercollegiate Debating Competition and tournaments. Judging debates improves debating skills as it gives the debater a different perspective on how to win a debate and what an adjudicator looks for. Bronze Award for judging three debates. [email protected] by 1 August 2017. The awards will be presented at the grade finals. 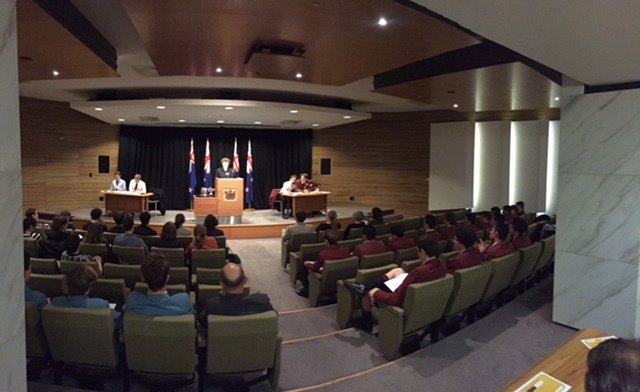 The Wellington Junior Certificate Debating Competition is broken down into three pools: Northern Wellington, Wellington Central and the Hutt Pool. This year the draw for each pool has been updated due to teams withdrawing after the draw has been set. We apologise for any confusion this may cause, but ask schools to ensure teams are committed before they enter a team in the competition. Round One Wed 16 March Full Preparation That New Zealand should change the flag. The topics for the break rounds shall be announced at a later date, but the dates on which the debates take place are below. Grand Finals Wed 12 September Full Preparation Governments should not fund high performance sport. My name is Nicola McFaull and I am the grade’s convenor. You can reach me by email at [email protected] and by cell on 0274 511 366. Round One Wed 4 March Full Preparation That New Zealand should change the flag. Grand Finals Wed 23 September Full Preparation Governments should not fund high performance sport. The draw and results will be posted here as soon as they become available. Draws and results will be posted here as soon as they become available.